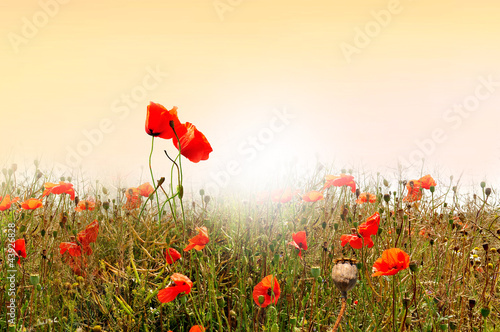 Wherever you look there is a meadow and beautiful poppies. They attract every flying insect with alluring shape and subtle colours. Hot from the sun, they ask to take a look at them just for a moment. A photo wallpaper with a motif of a red grove will enliven each interior and add charm to it.